Development policy is a task for society as a whole. In order to create a more peaceful and fairer world and to secure the freedom of all people to live their lives without material need and self-determined, it is necessary to engage as many citizens as possible. Only through a broad social support can Germany achieve its development policy goals. In order to secure broad support, the Ministry organises and controls dialogue and cooperation processes, carries out events with high publicity impact and provides extensive information on the Internet. An extremely important component of this work for the BMZ is the ministry’s YouTube channel, the core element of moving image communication. 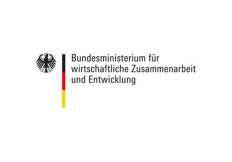 In the summer of 2015, a content and marketing concept was developed in cooperation with the Department for Public Relations, Digital Communication and Visitor Services in order to strengthen the YouTube channel of the ministry on a sustained basis and to increase awareness of BMZ’s work in Germany enormously and to initiate a social media distribution with strong target group integration. Especially in the area of charity and social responsibility, the dot-group has a powerful and influential influencer network. Detailed and honest blog posts by influencers led to a high degree of authenticity and inspired other users to visit the BMZ YouTube channel. Thanks to the media- and target-group-oriented content concepts and marketing strategies, more than 5 million users were made aware of the diverse topics such as climate change, health or poverty, making the YouTube channel the second strongest channel of the German ministries. The video content of the YouTube channel generated more than 4,000 shares and likes, which in turn increased BMZ’s social media awareness.